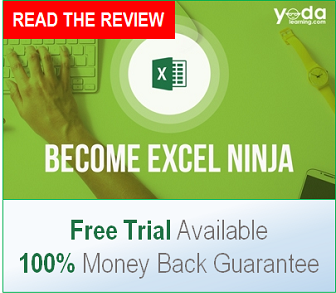 Learning the VLOOKUP formula is, for most people, the first step taken towards becoming an advanced Excel user. For me, this milestone actually occurred in 2004 during an internship at Microsoft in the company’s Commercial Operations Division. One of the senior analysts showed me the ropes by teaching me the formula. While I was still getting familiar with spreadsheets in general, learning that formula was definitely the first time I started to understand the true power of Excel. 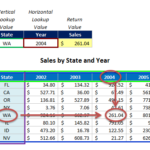 VLOOKUP is by no means perfect, but the formula has stood the test of time because to its usefulness and intuitiveness. 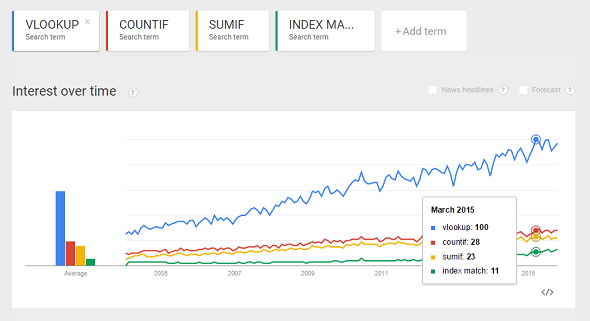 Even though most Excel pundits agree that INDEX MATCH is better than VLOOKUP, VLOOKUP is still several times more popular than any Excel formula out there, according to Google Trends. As a new analyst, being asked to find a small piece of information from a larger data set is probably one of the first things you’ll be asked to do. And 95% of the time, the optimal tool for this task will be Microsoft Excel. If you’re brand new to spreadsheets, you’re probably not going to start with a formula combination like INDEX MATCH. 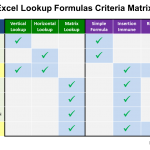 VLOOKUP is much easier to learn if you’re new to concepts like formula sytnax and lookup tables, and by starting with VLOOKUP, you’re much less likely to make errors. 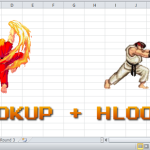 Below is a guide to show you everything you need to know about the VLOOKUP formula. If you’re still learning how to use Excel formulas, start with the basics to ground yourself in the foundational concepts. 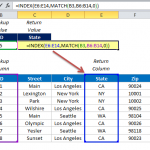 Then you can move on to formula combinations and the more advanced techniques related to VLOOKUP, including using INDEX MATCH as an alternative. And finally, if you’re having issues with VLOOKUP, check out the troubleshooting section. 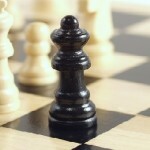 This guide will be updated periodically with new content. Below is the formula I’m currently using. It works fine if number (G3 cell) is exact. It works if it isn’t, but it returns the lower value. I would like it to choose the next highest number if not exact, which I understand VLOOKUP cannot do. I’ve been trying my hand at combo formulas, MATCH, INDEX, etc., but can’t make it work. Any suggestions? Have you tried just putting in both conditions into the same formula? Basically, if the exact match lookup fails, run the approximate match one. Let me know if that works for you. I want use vlookup formula to search on basis of starting a number, these number can also variable as per requirement. A Life Insurance policy starts with 71 or 98, if this starts with 71 policy number would be 8 Digit, if starts with 98 policy number would be 5 digit. Read through just about all of your articles on VLOOKUP and was sad that the one answer that I was hoping to get wasn’t there. I am dealing with a spreadsheet that has a several identical lookup values (same serial number used in column A, different data in cells b-t) and cannot figure out how to have a formula look past the first lookup value found. How would I get VLOOKUP or INDEX MATCH to return the February value for the second Tom?